TBILISI, DFWatch–The current president of Georgia on Friday revoked the citizenship of his predecessor, Mikheil Saakashvili, who is now governor of Odessa in Ukraine. Georgian legislation doesn’t allow dual citizenship. 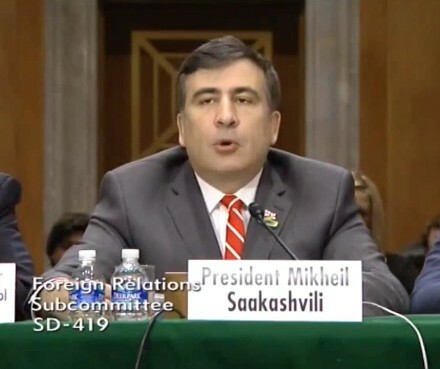 Since Saakashvili became a citizen of Ukraine earlier this year, the government a few months ago launched proceedings to revoke his citizenship. October 23, the Georgian justice minister said that they had received official confirmation from Ukraine that Saakashvili is a citizen of that country. The Ministry of Justice carried out the necessary procedures and sent documentation to the president, as it is his authority to revoke citizenships. December 4, the administration of the president informed that by a decree signed by President Margvelashvili, Mikheil Saakashvili’s Georgian citizenship was revoked because he became citizen of another state. Saakashvili, now the governor of Odessa, became a citizen of Ukraine in May, 2015, before being appointed to the new post. The justice minister said in August that Georgia was not in a hurry to cancel the ex-president’s citizenship. Later, she explained that authorities in Georgia needed official documentation from their Ukrainian counterparts.